Since 2009, our mission has been to facilitate the healing process for those who have been living with chronic muscular pain for entirely too long. Our passion is to reach those individuals who have become resolved to live in discomfort and give them hope that there is a solution. Since finding her own relief, Jenny has gone on to help clients relieve several other types of pain as well. She regularly attends continuing education workshops and events to ensure she is always offering the latest industry knowledge and techniques. Jenny is well-versed in Neuromuscular, Thai, Relaxation, Pre-natal, Temporal Mandibular Joint Dysfunction (TMJ), Sports, and Deep Tissue Massage techniques. If you do not see the scheduling feature, it will appear momentarily. Travis’ massage technique is a unique brand of “hurts so good” and “I feel so much better”. While he is best known for his deep tissue massage and gait analysis, he also practices sports massage, prenatal, craniosacral, and reflexology. He regularly employs client education by giving his clients something that they can take home to assist with pain or improve quality of life. Amber practices Neuromuscular, Thai, Energy Work, Temporal Mandibular Joint Dysfunction (TMJ) treatment, Deep Tissue Massage, and is learning Myofascial release techniques to provide a healing and therapeutic massage experience. Her focus in massage is to eliminate muscle dysfunction and its symptoms. Karissa believes there is a connection between emotional stress and trauma and physical pain and symptoms. She enjoys working with her clients on this level. She has more than 15 years massage therapy experience and practices Swedish, deep tissue, hot stone, sports, and prenatal massage. Stacy has built her massage therapy on the strong foundation of my knowledge, experience and a strong desire to help people heal their bodies and their lives. She is grateful to be able to share that education and a life's work of self-discovery, discipline, gratitude, and giving with her clients. Stacy considers it her privilege to be able to provide massage services to her local community to increase consciousness and well being. Click here to learn more about the benefits of CBD Oil. If you’re looking for the best of both worlds, specific treatment of a few aches and pains and a relaxing Swedish massage, this type of session will work for you. Click here to learn more about Combination Massage. Also known as Integrative massage, for this session, your therapist will design a custom blend of PNMT and deep tissue techniques and traditional relaxation massage to meet your session goals while still allowing you to relax. This type of neuromuscular massage uses very firm pressure to work past the first layer of muscle tissue. Deep tissue massage has a “good hurt” sensation and can relieve chronic pain and increase joint mobility. It offers all of the benefits of a Swedish massage, but with a deeper pressure. It’s common to feel a little sore the day after a deep tissue massage, but it is important to communicate with your therapist about the massage pressure. More isn’t always better! This type of massage is aimed at alleviating acute or chronic pain due to injury or repetitive strain. If you choose this type of massage, you will need to show your therapist what movements hurt and describe your issue specifically so that your therapist can determine which muscle(s) are possible sources of your pain. You may experience minor physical discomfort (yes, sometimes massage hurts) and be asked to wear gym clothes and move around for this type of session. PreNatal massage therapy gives relief for swelling, stress, and muscle cramps associated with pregnancy. Particular attention is paid to stress bearing areas such as the lower back and hips. We wait until after the first trimester, so this service is only offered for expecting mothers at least 12 weeks along in their pregnancy. Special pillows and props are used to maximize comfort during this type of session so mama can relax. This type of massage is aimed at alleviating pain due to sports injuries and regaining or maintaining athletic performance. Rehabilitative massage therapy emphasizes prevention and healing of injuries for athletes. You may be asked to demonstrate activities and we request that you wear gym clothes for this type of session. Anyone needing to relax their body and mind can benefit from a Swedish relaxation massage. This form of massage uses a variety of techniques specifically designed to relax the body and engage the sympathetic nervous system. Swedish massage feels nice and many clients fall asleep! Swedish relaxation massage is what most people associate with spas because it is designed to sooth the nervous system. Thai massage is also sometimes called Thai yoga massage or “lazy yoga,” because our therapists use their hands, knees, legs, and feet to move you into a series of yoga-like stretches. If you think you could benefit from yoga but find it too challenging, or if you love yoga and want to deepen your flexibility, you’ll likely love Thai massage. Muscle compression, joint mobilization, and acupressure are also used during a Thai Massage session. We ask that you wear gym clothes for this type of session. Buy 4, 60-minute massages (any kind) for $240. That's a $40 savings! Buy 4, 90-minute massages (any kind) for $340. That's a $40 savings! Please call to purchase the massage packages. 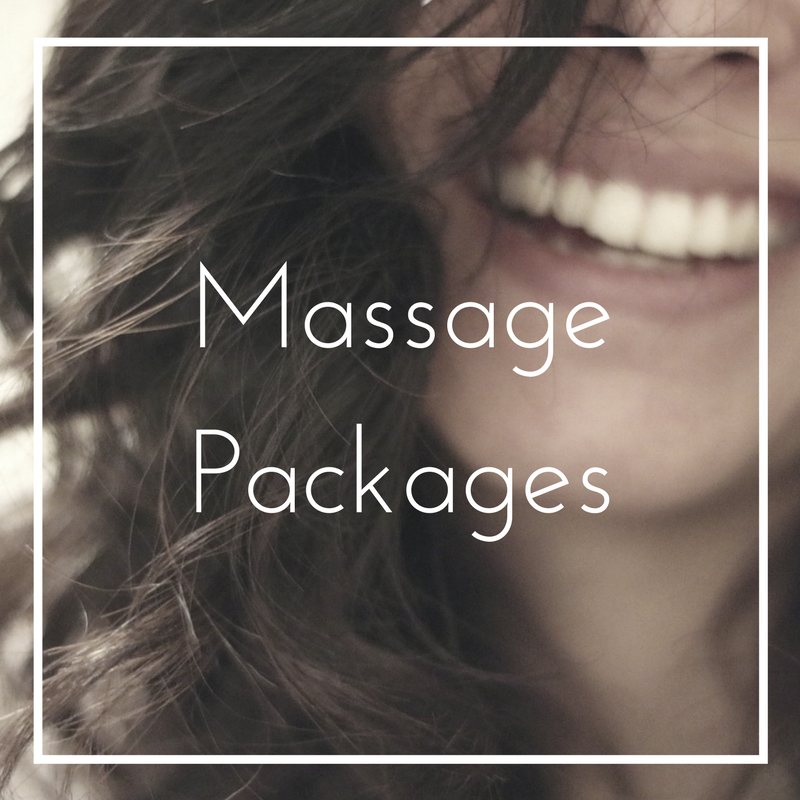 Massage packages do NOT expire. However, we encourage you to use your packages within 6 to 12 months to get the full therapeutic value from them. Call to let us know or ask your therapist when you arrive to add either of these treatments to your scheduled service. Please note: You must be an existing client to take advantage of spot treatments. A hand or foot sugar scrub can turn any treatment into the ultimate luxury. Add a feet or hands sugar scrub for $5 or both feet and hands for $10. Call to let us know or ask your therapist when you arrive to add this special treatment to your service. Hot stone massage melts away tension, eases muscle stiffness and increases circulation and metabolism. This is a specialty massage where the therapist uses smooth, heated stones as an extension of their own hands, or by placing them on the body. The heat can be both deeply relaxing and help warm up tight muscles so the therapist can work more deeply, more quickly. Add this to any massage on just the back or go all in with a full body hot stone massage. Curious about massage? Read our articles! You can expect to fill out a health intake form before your first massage session and to update it every year or so. Your therapist will ask you about your expectations for the session and check in with you often about your comfort during the session. We offer different types of therapeutic massage including PNMT, Thai, Deep Tissue, Therapeutic, Sports, or Swedish. 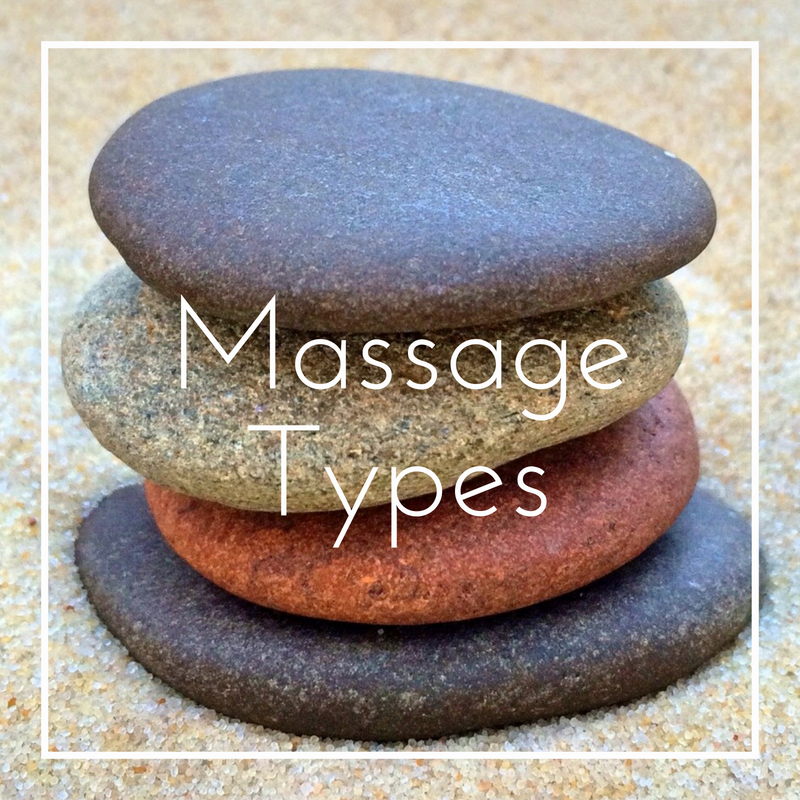 You can read more in our Massage Types section of this page or ask your therapist about the differences. If you scheduled a PNMT or deep tissue massage, but arrive for your appointment stressed and you just want to relax, that’s ok, just tell your therapist! It’s important to discuss your expectations of the session with your therapist before the session starts so we can customize your session. It's also very helpful if you provide feedback during your session. If the table warmer is too warm or the music is annoying, or you’re uncomfortable in any way, just tell your therapist so they can make adjustments. Our therapists are highly educated and they care about your comfort and results. What does that mean? A lot of clients ask us about the requirements to obtain a massage therapy license. 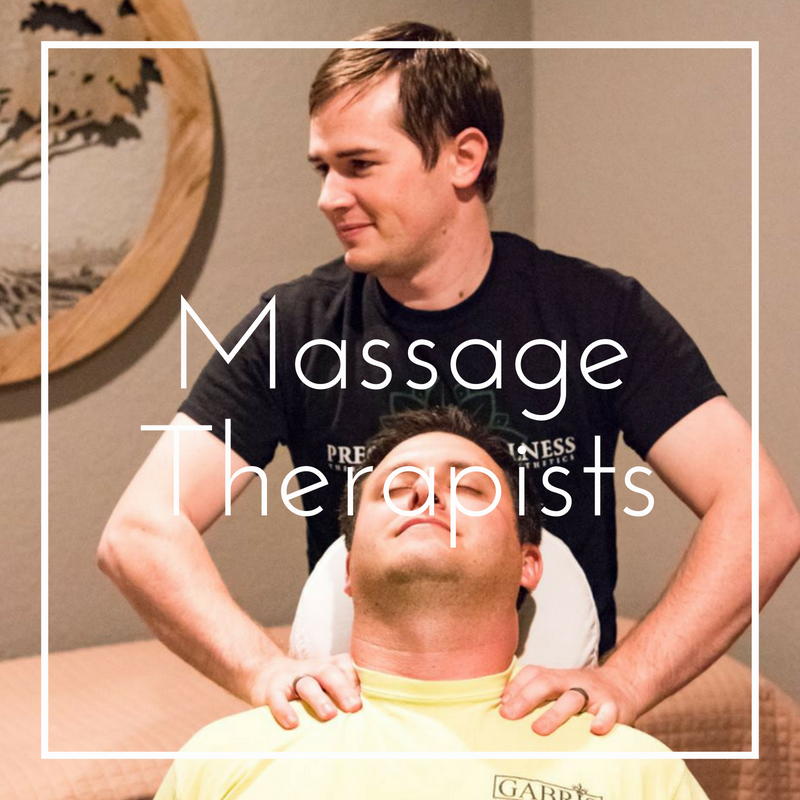 In the state of Missouri, a massage therapy license requires a minimum of 500 clocked training hours and a few hours of continuing education every couple of years. Our training far exceeds those minimums. In other words, we really know our stuff! Our commitment to education is just one thing that sets us apart at Precision Wellness. If you schedule a PNMT, Sports or Thai massage session, you need to wear or bring gym clothes including shorts, leggings, sweats, and sports bras, tanks, or tees. Any clothing that allows movement is appropriate for a PNMT, Sports, or Thai massage session. 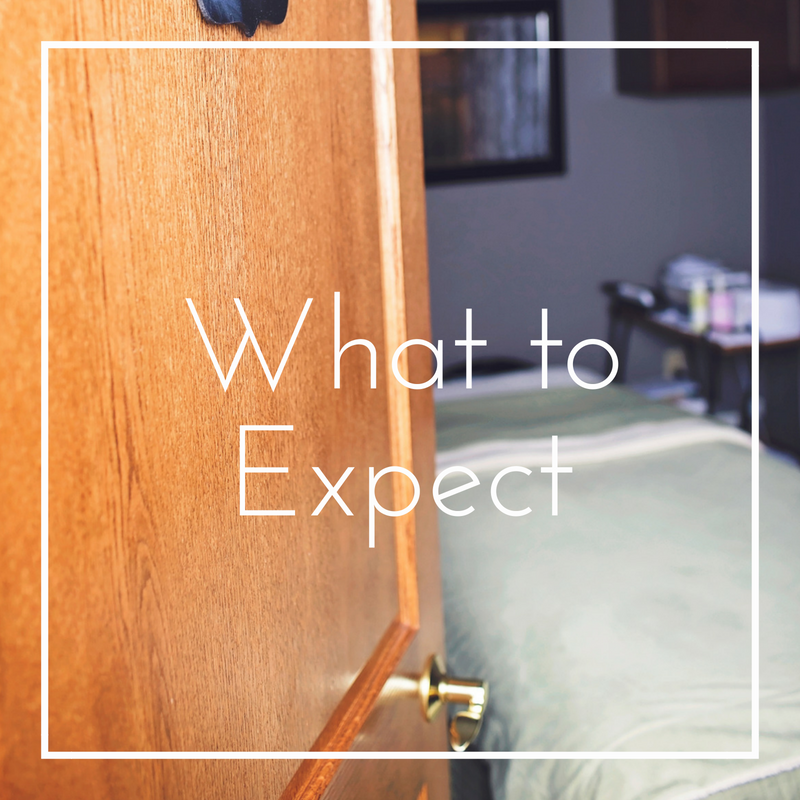 If you schedule any other type of massage you can expect privacy to undress to your comfort level. This may or may not include undergarments. You will be professionally draped during the entire session. Your modesty is of utmost importance and it is our goal to provide you with the most professional and relaxing environment possible.